Which Android permissions does the app require? In order to protect the privacy of its users, the Android operating system requires applications such as Muslim Pro to declare the specific permissions they need to perform certain operations. Should you decide to upgrade to the Premium version of Muslim Pro, this will allow you to use your existing Google Play Store account in order to make a secure payment. Your validation will still be required at the time of such purchase and Muslim Pro can never access your billing information which remains secured by Google. The Muslim Pro upgrade is a one-time payment only and NOT a recurring subscription. Your location is required in order to calculate accurate prayer times. Muslim prayer times are based on the position of the sun which itself depends on your actual location. Your location is also used for the Qibla (direction to Kaaba) as well as to help you find halal restaurants and mosques nearby. This permission is required by the Muslim Pro application in order to save downloaded content such as additional adhan files, audio recitations and translations of the Quran. This permission is required by the Muslim Pro application in order to obtain a unique identifier for your device. This unique device ID is used to secure the usage of our free credits and invitation code as well as to secure your purchase should you decide to upgrade to the Premium version of Muslim Pro. Please note such device identifier is completely anonymous, as all other data collected by the Muslim Pro application. 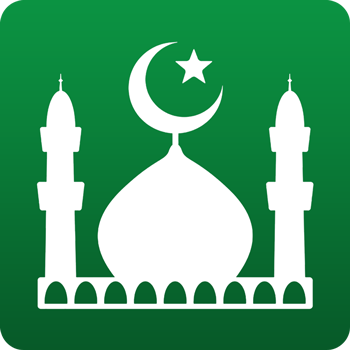 A few other system permissions are also required by the Muslim Pro application in order to download audio and translation files from the internet, send you notifications (adhans), prevent your device from sleeping while reading the Quran, make your device vibrate when using the Tasbih, and run at startup to reschedule adhan notifications should you restart your device.